RED makes some of the most advanced and powerful video cameras in existence, which also means it needs a damn powerful computer to handle the massive video files. 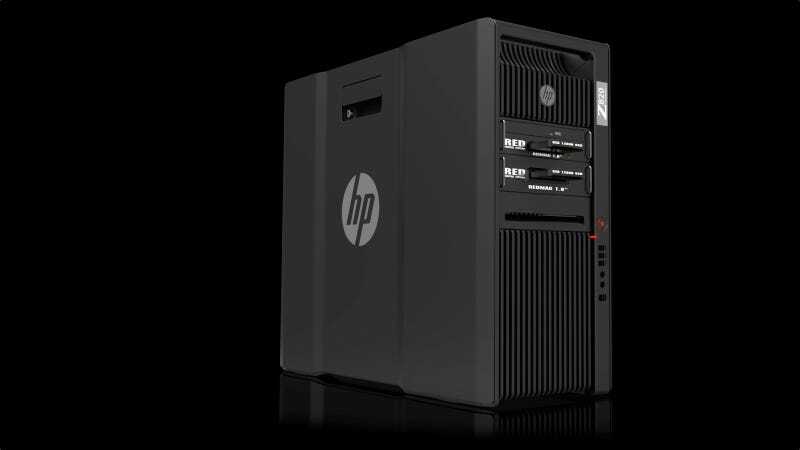 So it teamed up with HP to build the RED Z820 workstation, complete with 16 liquid-cooled CPU cores, custom RED Mag card readers and RED Rocket acceleration cards. The RED Mag is the company's proprietary storage format for devices, so having an integrated reader will be nice for RED loyalists. Meanwhile, the built-in RED Rocket card means that editors will be able to decode video up to 5K resoluton, and play back 4K footage in realtime (scaled to 2K on a monitor).